For a brief moment there, nothing happens. 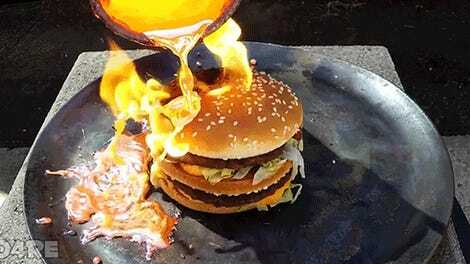 A Big Mac gets drenched in sulfuric acid, and it just kind of looks exactly the same. And then it starts getting gross. The bun is the first to go, turning into this dark, putrid color and losing its pillowy texture. 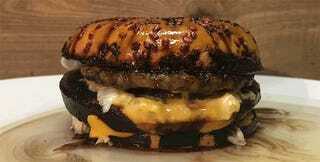 Let’s Melt This, the geniuses behind this new video, was surprised that the sulfuric acid actually cooked the bun until it turned rock hard rather than turn it into a soggy mess. The rest of the Big Mac walked away from the acid frighteningly okay. Sure, the structure of the Big Mac protected some of the other ingredients from getting too destroyed but after the end of the video, the patty, the cheese, the sauce, and the pickles are still in relatively decent shape. Ultimately, the Big Mac spent a grand total of 30 minutes in acid. So the takeaway is pretty simple. A Big Mac is difficult to break down even for sulfuric acid to break down. 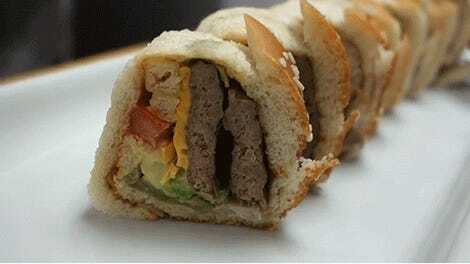 Just imagine what happens to McDonald’s food in your stomach. What happens to your body one hour after eating a Big Mac?